From left, former Western Region President Flo Tripi, Erie County Local President Denise Szymura (who received the Irene Carr Leadership Award in 2017) and CSEA Executive Vice President Mary E. Sullivan. ALBANY — When Irene Carr saw the need for real change, she didn’t stand by and wait for it to happen. Instead, she became the change she sought. 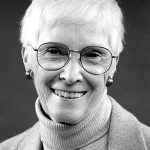 Throughout her four-decade union career that included 17 years as Statewide Secretary, Carr was key to bringing issues traditionally of concern to women to the forefront. Her accomplishments not only advanced the lives and careers of working women, but helped expand leadership opportunities for women in our union. 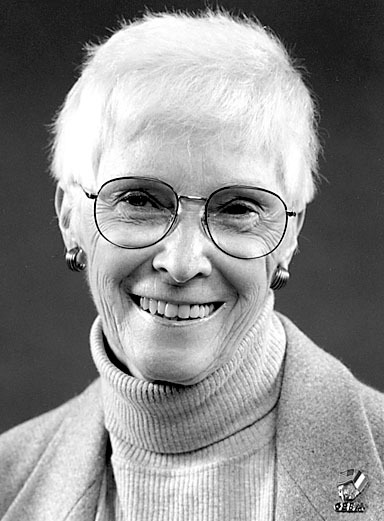 CSEA is accepting nominations for the Irene Carr Leadership Award, which will be presented in April to a CSEA member who fights to advance women and families. When Carr became a CSEA activist, leadership opportunities for women were limited. Although elected secretaries were often expected to be just “notetakers,” Carr was determined to play an active role in our union and urged other women in leadership roles to do so. She also realized that “work and family issues,” as Carr referred to issues traditionally of concern to women, needed to be a priority in our union. She led the way in forming our union’s first Women’s Committee and served as the committee’s first chair. She also chaired AFSCME’s Women’s Advisory Committee for many years. Carr also played a key in boosting training and job advancement opportunities, pay equity adjustments for women and minorities, improved workstation technology and worksite child care centers for state employees. She also served as a mentor to many of CSEA’s current women activists. She inspired activists across our union to continue to shatter glass ceilings. More than 25 years after Carr retired from service, our union continues to honor her work through the Irene Carr Leadership Award. We are looking for a CSEA member who has worked to continue Carr’s mission of defending and furthering the rights of women and families. Below is the criteria for the award. Continuously encourages, promotes and/or mentors younger women to become activists in our union and the labor movement as whole? Has demonstrated continuous leadership in defending and furthering the rights of women and minorities in the workplace, through issues such as women’s health and safety issues, pay equity, domestic violence prevention and policy legislation, equality in the workplace or affordable, accessible child care? Nomination forms are available at cseany.org. All nominations must be received by Feb. 22, 2019. The Irene Carr Leadership Award will be presented at the CSEA Women’s Conference, which will be held April 5-7 in Tarrytown.